People foreign to Danish shores might not know of them, but back here in Carlsberg's home country, the band called Kashmir is a pretty big deal. 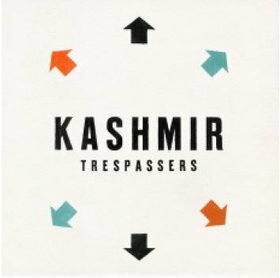 In a country generally starved for rock and metal with growing potential, Kashmir have fortified a career starting way back in 1991, by releasing six studio albums (including this one, "Trespassers", which is up for review), featuring a multitude of hit singles, and it's hard not to notice that a number of other Danish bands that have graced the limelight are in a likely debt of inspiration to Kashmir (why hello there Saybia and Veto!). Themselves, Kashmir seem to have some rather obvious inspirations in Radiohead (imagine that word bolded and underlined for emphasis) and David Bowie, at least on all but their somewhat wilder début album. The problem with them however, has always been, at least to the Danish RF staff members, that Kashmir are like the Coldplay of Denmark. 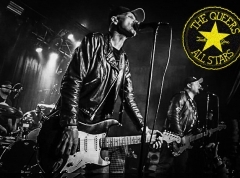 They pop out once in a while, release an album, endear the mainstream with some irresistible singles ("Rocket Brothers" or "Mum In Love, Daddy In Space" anyone?) and while such songs are consistently delivered, Kashmir always manage to feel a bit too.. Well, either polished or unfocused, depending on which critical camp you come from. And such it is here on the new album "Trespassers", as the band delivers a batch of eleven tracks, all rather melancholic and atmospheric cuts in the vein of fellow Danes Mew, yet nowhere near as experimental. Out of these, six are of good solid craftsmanship, providing a fairly enjoyable and interesting listen, yet also fading fairly quickly from the memory, providing more ammo for those that criticize Kashmir's supposed greatness. The remaining five however, stretch from good to brilliant, with especially the soaring retardedly good progression of "Mantaray" and the heart-scraping intensity of the lullaby "Danger Bear", which ends all too abruptly. On these gems, Kashmir really make their sound matter, and provide the perfect canvas on which frontman Kasper Eistrup can paint a picture with vocals that seem momentarily immaculate. Other than that, lead single "Mouthful Of Wasps", which constantly reminds me of Muse's "Uprising" via. it's beat and build-up, is also quite memorable, as are "Still Boy" and "The Indian (That Dwells Inside This Chest)". In it's entirety, "Trespassers" seem like Kashmir doing what Kashmir does best, wallowing in thoughtfulness and melancholy, channelling that into another handful of songs for you to hope to catch live one day, and a handful of others which are only likely to make impressions on the more diehard of fans.